As you all know, I’m now working for myself at home so I’m spending a hell of a lot of time in our flat which has got me thinking about a few changes I’d love to make to the second bedroom that is now where I do all of my work. We’ve got a desk each as Mike is a Microsoft user so he has his PC and I’m an Apple user so I have my iMac which takes a decent amount of space so we like to utilise the wall space as much as we can and make the room as fun as we can. When you spend a lot of time somewhere it needs to make you feel good and needs to make me feel motivated to get up and get working. I’ve whipped up a little list of a few things that are on my list to change or work on to improve the space. 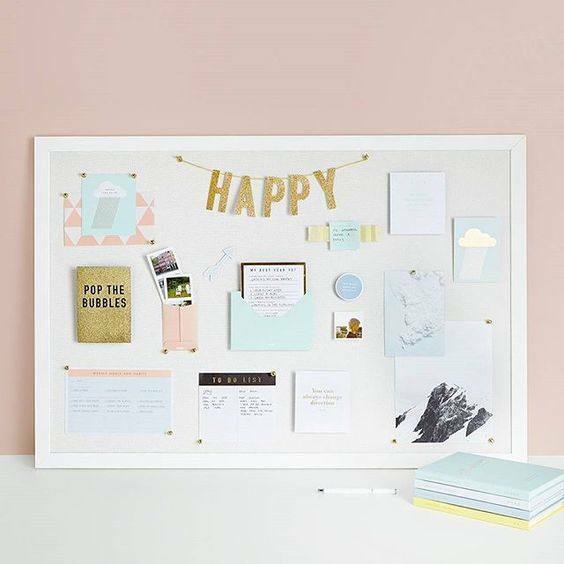 My dad recently picked me up a decent sized pinboard that is now up on the wall and I’m thinking it needs a theme to keep it looking super pretty. I love having themes to rooms and collages. Like our bedroom has a ski lodge, log cabin feel with dark colours and plenty of stags head, my bathroom is nautical and the second bedroom is kind of musically themed with current artwork on the walls. This made me think that the pinboard needs to some gig tickets, and contain a musical aspect but I also want to use it for ideas for shoots etc, so I need to work on that a little more! So sunlight might seem like such an odd thing to want to change, but hear me out! Where I sit and work the sun hits my screens so I can’t actually see my screen which is a little annoying. I don’t want to lose the sun entirely as it gives the room such a warm glow and the blind we have now does just that, it blocks out everything! So rather than having a blind, I thought about the possibility of getting shutters so I can tip the light upward toward the ceiling so I’d still be able to get that sunny glow. 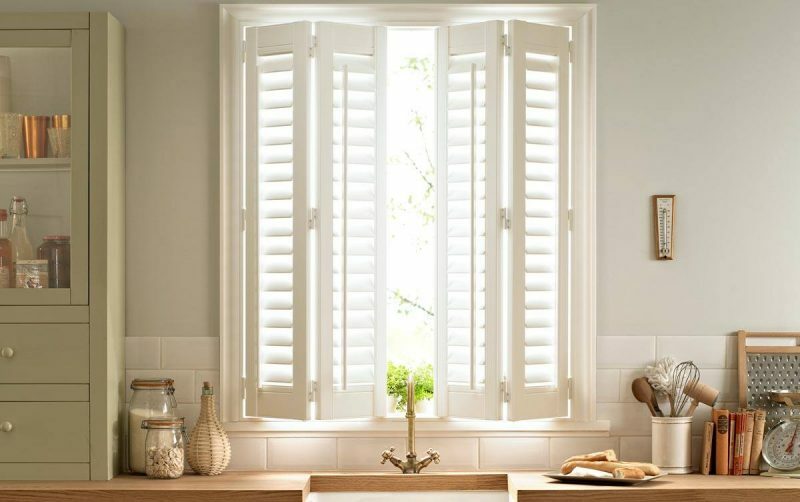 Looking into the numerous possibilities it would seem vinyl shutters would be the best option for us. Despite the fact they’re usually used for rooms where water is present like the kitchen or bathroom, we do dry our washing in the second bedroom so we wouldn’t want our wooden shutters that can absorb the water. I’m a sucker for a good shelf and I think if we were to pop up a few more above the desk like this we would have more storage for all of our pads, cameras, and boxes for all of the wires we seem to have acquired! We seem to own so much stuff that needs a home and we often struggle with places to put this stuff so any extra storage is perfect for us. I also love being able to frame a few more photos and stick them up on the shelves as we take so many of them! 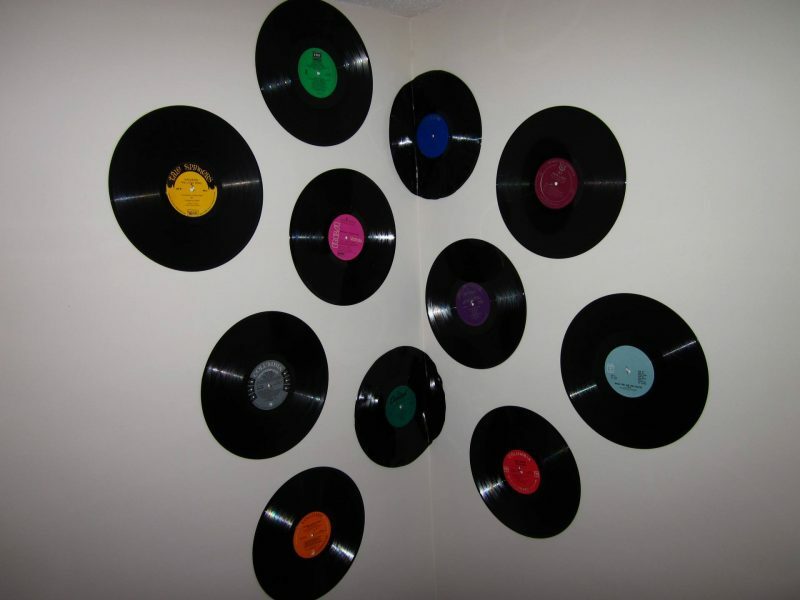 I also want to create some cool artwork with vinyl records as we are huge music fans. I’ve been keeping my eye on Cheap Vinyl UK for any that I want to add to our collection. 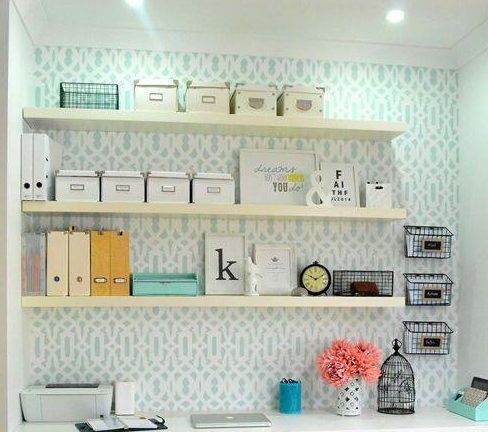 What would you change about your working space? "Spending Time with Mom & Dad at the Preview Screening *"
"Finally Feeling Good in my Own Skin"